I was driving through the California desert on my way to Arizona when I became bored with the scenery. I decided to take a shortcut. The smooth highway I traveled quickly became a bumpy two-lane back road. The landscape that sped by remained desolate. There was nothing for miles around. This was during the 1980s and I had heard a satanic group had taken over a nearby ghost town. As the sun set the road became very dark. My truck headlights swept across a canyon I traveled through. I noticed the high grass that lined the road appeared to take on eerie shapes. 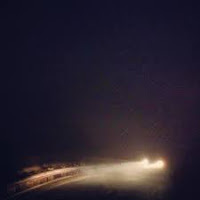 As the canyon ended, I saw shapes silhouetted in the middle of the road up ahead. As I drew closer I realized they blocked my path. I slowed my truck to a crawl as I realized another pickup was turned sideways across both lanes. I saw an open suitcase with clothes strewn around it. To my horror I then saw two bodies, one a man, one a woman who where laying face down on the blacktop. They appeared to be dead. It must have been a terrible accident. I stopped several yards from this scene. I went to open my door but then I hesitated. For some reason the hair stood up on the back of my neck. Something wasn’t right but I couldn’t pinpoint what. I turned and retrieved my rifle from the hooks above my back windshield. I placed a round it the chamber. It then hit me, the scene in front of me didn’t appear real it appeared staged. Was this a carefully laid ambush or was my imagination getting the best of me? I broke into a cold sweat and my heart began to pound. Something was wrong. I decided not to get out of my truck. 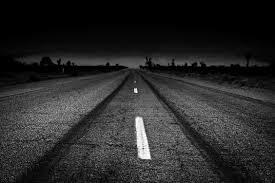 I looked at the road that lay before me and laid out a path I could take to avoid the truck and the bodies that lay on the ground. I slowly zigzagged my way around these three obstacles. I then sped up and drove down the road several hundred feet. Curious, I slowed down and looked in my rearview mirror. As my breathing became normal I noticed the two bodies were no longer lying face down. Both figures now stood. My line of vision shifted. I saw a least twenty more figures emerging from the tall grass on either side of the road. In a panic my foot hit the accelerator and I didn’t slow down or look back until I reached the 4-lane highway. I refuse to think about what would have happened if I followed my first instinct and had gotten out of my truck. I have a feeling it would not have gone well. Sportsmen state the fish do not bite when the ghosts are near. . .
A mile and a half up in the High Sierra Mountains in California sits a Lake named after escaped convicts. 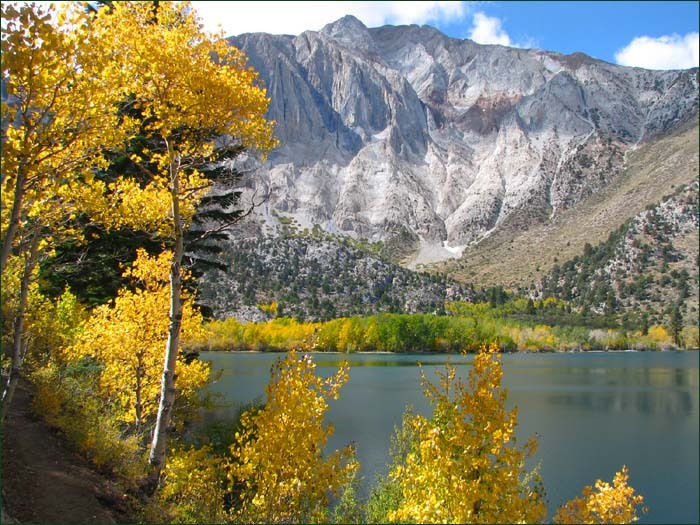 Convict Lake was named after a group of six convicts that escaped from the Nevada State Penitentiary in September of 1871. Twenty-nine men convicted of stagecoach and train robberies escaped this prison in the Nevada desert and headed west. They crossed the border into California. This group of convicts split up and headed into the High Sierras, which was not a wise decision for the first snowfalls in late September were already hitting these mountains. Six men from this group headed south toward the lake that is now named after them. They found themselves without shelter or supplies. Along the trail they encountered a local mailman, William Poor. Poor immediately recognized them from the wanted posters in his office. The convicts seeing the fear in his eyes killed him in cold blood. When word about this murder reached the locals they became enraged and formed a posse. On September 24th they found the convicts’ hideout near the lake. A bloody gun battle ensued. Deputy Sheriff Robert Morrison was killed. When the fight was over three men were taken into custody, the other three escaped further into the mountains and died of exposure. Two of the men captured were hanged the third man who had testified against the other two convicts was returned to prison. He was stabbed and killed by fellow prisoners for being a snitch. Ever since, three ghosts have been seen near this lake. Two wear nooses around their necks the third has a knife sticking out of his back—it is believed he was the one who was the informer. All three ghosts are seen covered in snow with icicles hanging from their eyebrows. Witnesses state these men have “lifeless” eyes. 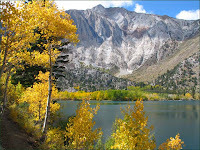 These three ghosts are seen near Convict Lake year round but they are seen more often in the fall months. 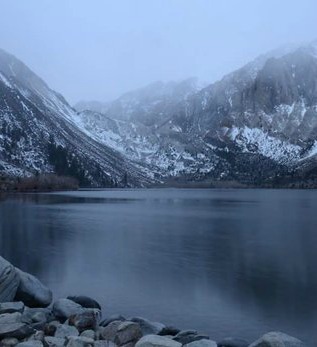 Locals and fishermen state that the trout in this lake do not bite when these ghosts are seen. Witnesses state they present a gruesome sight. 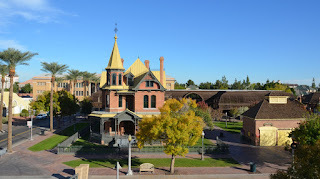 In the oldest section of Phoenix, Arizona sits Heritage Square. In the mid 1860s the first Anglo settlement was established in this area. 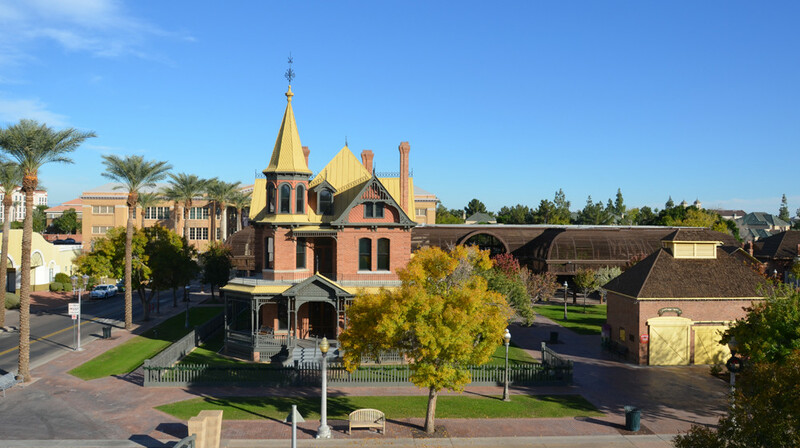 In this square is a collection of homes that give the visitor a glimpse of what Phoenix was like as a small town at the turn of the 20th century. One of these homes is the Teeter House. 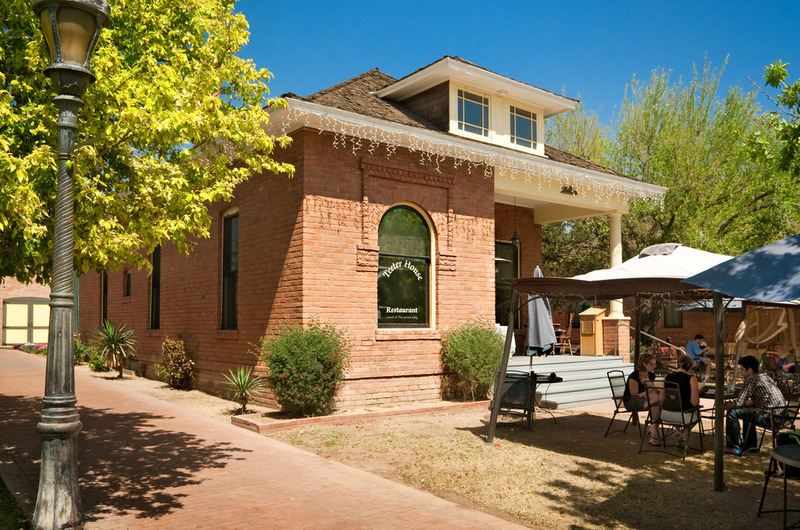 Today this building is used as a restaurant/ teahouse were visitors listen to jazz music under the stars on its patio. The house also has a charming gift shop were the visitor can browse a variety of teakettles. One can also find one of the original owners of this home. Leon Bouvier, a cattleman and flour miller, built the Teeter House in 1899, He used it as a boarding house. In 1911, Eliza Teeter bought the home and continued to run it as a boarding house. In 1919, she closed this business down and moved into the 3-bedroom home herself. She lived here until her death in 1965. Many believe she never left her beloved home. Visitors report hearing his or her name called softly when no one is around. Others report objects moving by themselves. A notable incident was when an entire roll of paper towel in the bathroom unrolled onto the floor when no one was in the building. Another hot spot in the home is the kitchen. Staff reports include pots and pans flying off shelves. One cook saw a woman walk through the restaurant and then just disappear into nowhere. Yet another cook heard her named called when she was alone in the building. A group of patrons saw a shelf in the dinning room dislodge and fly across the room. The owner lost her keys one day only to find them later mysteriously under the kitchen sink. 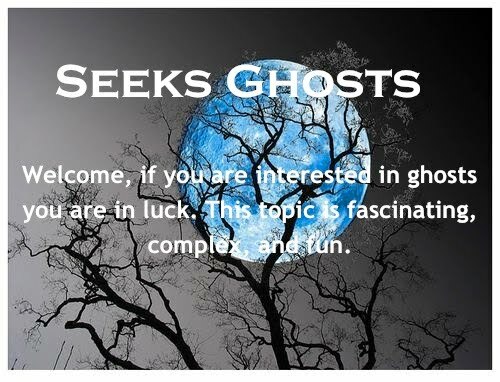 This activity is ongoing and everyone agrees it is most likely the ghost of Eliza Teeter just trying to get everyone’s attention. 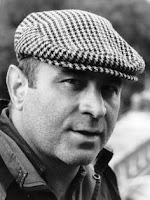 The deceased English actor Bob Hoskins believed a ghost he encountered as a teen brought him good luck in his life. At the age of 15 Hoskins left school—where beatings were the norm—his teachers tied his left hand to a chair to try and force him to write with his right hand. 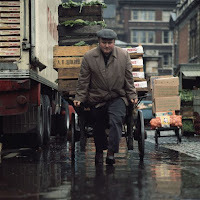 He worked at Covent Garden as a porter in the late 1950s. This area, located in central London, was used up until the late 1960s as a thriving fruit and vegetable market. 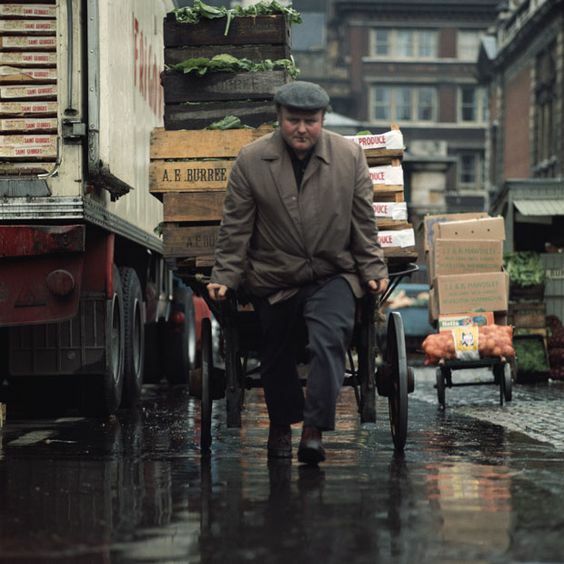 With traffic congestion this market was moved in 1974 to an area 3 miles southwest of Covent Garden. Hoskins worked in a shop where the fuses often blew. He would go down in the basement to fix them. On two occasions he encountered what he describes as a beautiful female ghost. The first time he encountered her, he was frightened but he could not help but notice her lovely face and hands. The second time he encountered her she was a mere two feet away from him. He rushed upstairs to tell the owner of the shop what he had seen. His boss, an older man, was not surprised. He told the excited teen, “Oh, you’ve seen one of the nuns.” He went on to explain that where the shop stood was once a convent. 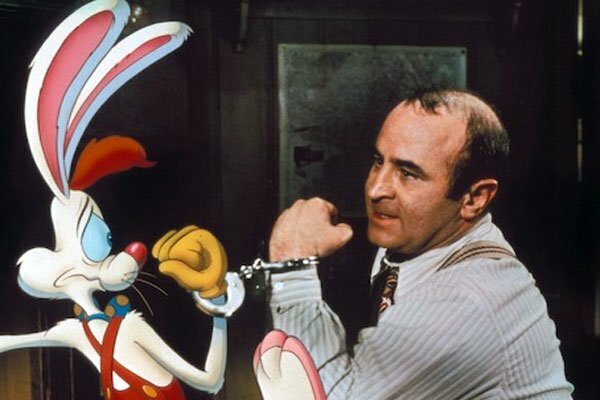 Later, Hoskins became famous in America for playing opposite animated characters in the film, Who Framed Roger Rabbit? He told a reporter for Spin magazine in 1989 that his life had indeed been lucky. 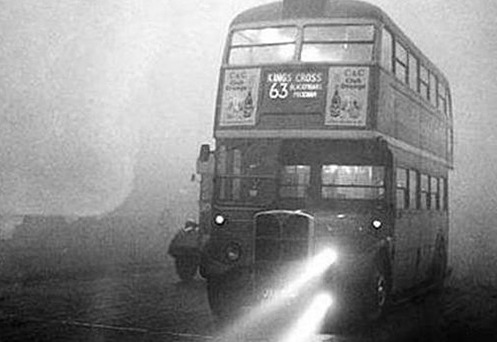 In 1934, witnesses one night saw just after midnight a car mysteriously swerve off a London street and hit a wall head-on. The car broke into flames and the driver was killed. At a later inquest, witnesses expressed puzzlement as to why this car did this. They stated the driver appeared to be trying to avoid hitting something but they did not know what. Other witnesses came forward with an odd explanation. They also saw the car swerve off the road just past the intersection but they saw the reason why. They claimed to see a red double-decker bus with the number “7” on its side careening straight for the car at which point the car then swerved into the building. They said as this bus continued down the street it just mysteriously vanished. Besides the odd fact this bus just vanished, the fact witnesses saw it at this hour was strange for London buses do not run this late. 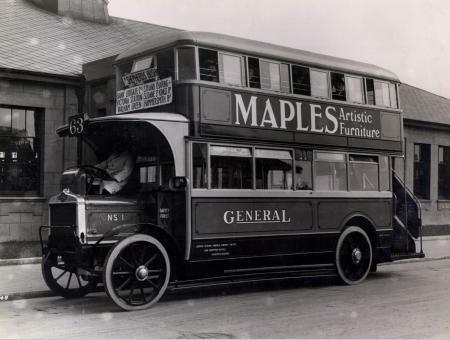 It was also pointed out that no buses in the city in 1934 were labeled with just the number 7. After this first sighting, others came forward to state they saw this bus at the same intersection for the next 56 years. This red double-decker was seen causing road accidents around 1:15 a.m. in the morning. It was always seen traveling in the middle of the street heading toward the intersection at a break neck speed. 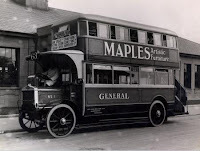 Witnesses reported seeing the number 7 on its side as well as the word “General,” the name of a bus line that stopped running in 1933 the year before the first accident. The witnesses all reported seeing cars desperately trying to avoid being hit by this mysterious bus. They reported the drivers often just barely missed hitting the sides of buildings or lampposts as they swerved out of the way. Several drivers sustained minor injuries in these accidents. Most of these reports included the fact these witnesses saw the buses' interior lights shining brightly on both levels but there were no passengers on this bus. Even more strange drivers in the cars that had to avoid hitting this bus mentioned that as this out of control bus passed it then just disappeared. The last report of this phantom bus was given in 1990. In this same year the decision was made to straighten the deadly curve that led up to this intersection. Since then there have been no more unusual sightings reported. Ghosts often return to resolve unfinished business. The following account I read several years ago in an old newspaper article. It told the story of a deceased coal miner who returned as a ghost for a good reason. This story took place in the 1920s. 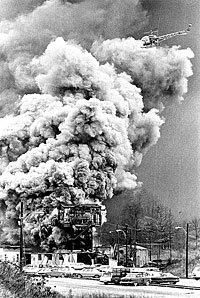 A coal mine located on the West Virginia border experienced an explosion. Several men were killed, a few lucky ones survived. All the bodies of the dead were recovered except one. This body belonged to a miner by the name of Frank Cooper. Most mine company's at that time had an unfair policy. If the body of a miner was not found they stated they were under no obligation to compensate that miner’s family for their loss. In this instance, it meant extra hardship for Frank Cooper’s wife and his six children. 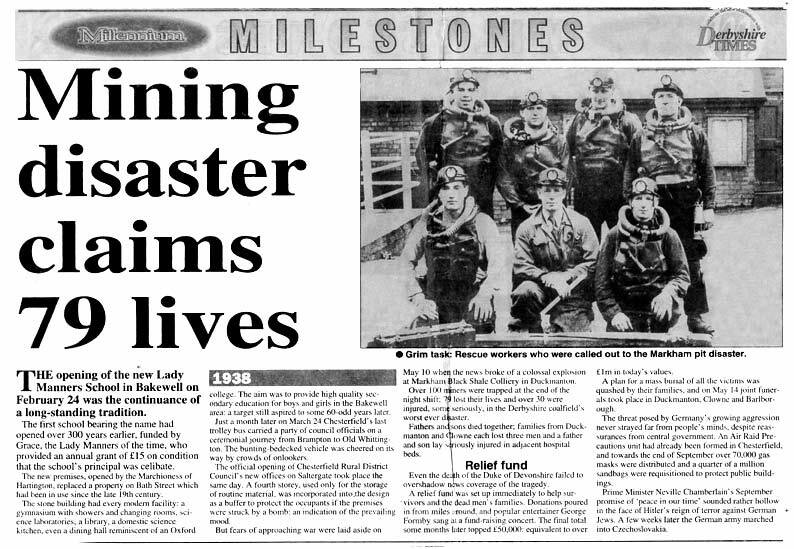 The owners of the mine went as far as to state that there was no proof Cooper had been in the mine at the time of the explosion—even though the survivors knew he had been. To guarantee they would not have to pay anything to his wife the owners stated that Cooper had apparently just abandoned his family. After the explosion, management asked for volunteers to go down into section five, where the explosion occurred, to clear debris and shore up the ceiling with new beams. No one wanted to do this dangerous job but finally one miner named Louis stepped forward. Once Louie reached the deepest part of this section he began to work. He stopped when he heard strange noises. He turned around to see a dark figure directly behind him. At first he thought with relief that this was another miner who had a change of heart and had come to help him. Louie noted the other man had an unusual appearance. He was gaunt and extremely pale. Where his eyes should be Louie could only make out two sunken holes. As Louie turned back to dig away some loose debris the other man commanded he stop. “No, not there. Over here!” Louie now confused complied anyway. He took his shovel and began to work in the spot the other man had indicated. It wasn’t long before he spotted a foot sticking out of the slag, then a whole body. He turned around to show the other miner what he discovered only to find he had vanished. The figure then faded away as Louie watched. The next morning back at work Louie was told that the body he had found the day before was Frank Cooper.